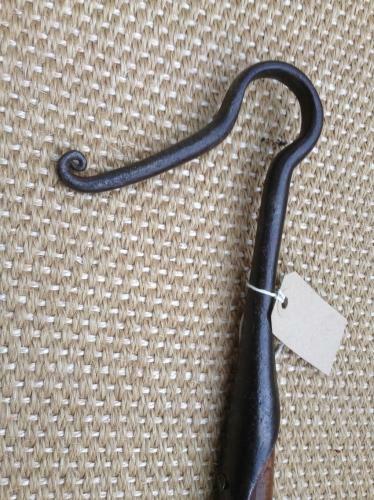 Original antique Shepherd's Leg Crook. Single swirl East Anglian style. Nice delicate crook 2.25 cm opening to the mouth. Nice pattina. The Leg Crook was the Shepherd's everyday working crook designed to catch the sheep in one swift action at the top of the leg.